The first thing you do when playing in an RPG is create your character (unless you're the GM, in which case you're creating everything else in the world, but that's getting ahead of ourselves). Not much of an RPG if you don't have a character to role (roll) as. It's a pretty important part of things. And that's why Fantasy Flight is giving us a preview of just how that'll work in Genesys, their new universal RPG system they're working on. 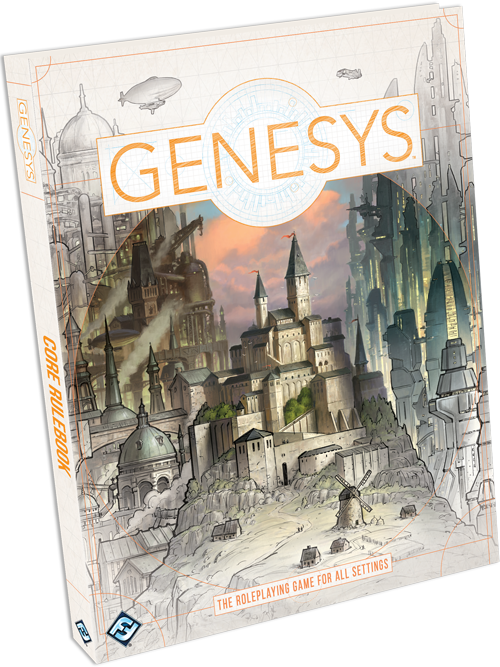 The Genesys Roleplaying System is one of the most versatile and adaptable roleplaying systems ever, putting you in the shoes of characters from any setting you can imagine. From a gritty battlefield to the far-flung fantastical future, the setting is in your hands. But how do you go about creating a character that feels unique to your setting, deeply personal to you in a game that’s all-encompassing? Luckily, today, Genesys Designer Sam Stewart is taking us step by step through the process of character creation, giving us a glimpse into one of the most robust mechanisms in the Genesys Roleplaying System.